Nimbys: the Real Threat to Renewable Energy? The so-called Nimbys, or ‘not in my back yards’, have been blamed for many things over the years. Nimbys are easy targets because they are faceless individuals who can be used to demonstrate a point without there being the need to prove it with statistics. Furthermore, as Vestas’ vice president, Peter Kruse, recently pointed out, Nimbys are capable of derailing a country’s entire green energy movement. Whilst this must be met with a degree of scepticism not least because Vestas ditched its UK wind turbine manufacturing for cheaper pastures, the overriding point is intriguing. Nimbys often raise their objections when something decidedly negative encroaches upon their way of life. Plans to build a tower block in a quiet suburb or a motorway bypass through a picturesque village are common complaints for Nimbys. In contemplation of environmental disaster and soaring energy prices, do Nimbys really oppose the green energy drive? 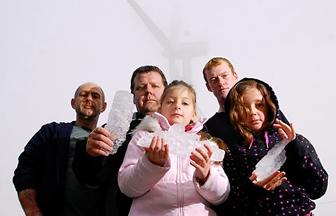 Are Nimbys ultimately to blame for the collapse of the UK’s wind turbine manufacturing industry? The answer is perhaps yes. Of course, many people still do not accept the importance of adopting green renewable sources of energy. Either blinded to the empirical evidence of rising oceans, holes in the o-zone layer and unseasonal weather or selfishly ignorant to the possibility of environmental disaster occurring in their lifetime, the eco-Nimbys are those who will use their collective power to thwart attempts to change for the better. Movement towards clean renewable energy is a global necessity, so those who object to such changes on grounds that it would spoil their enjoyment of the countryside are inflicted by the same condition that has put humanity on an ecological precipice: personal greed.